Business credit is a rose with thorns. The beauty of it is that you can rely on credit to get the business capital you need at the time that you need it. This can help your company respond quickly to changing market conditions, and get in early on new business opportunities. The downside, however, is that if you miss payments to creditors, it leaves a mark on your credit score. The result may be the inability to borrow money in the future, lease real estate or equipment, or make sizable purchases on credit. All of these can act as direct hindrances to the growth, and possibly even the survival, of your business – even after you’ve dug your way out of debt. According to the Houston Chronicle contributor David Ingram, the first step to paving a road to better business credit is simply to get in touch with your creditors. At the end of the day, they want your money just as bad as you want to give it to them, so they’ll most likely work with you on creating a repayment plan that makes sense given the circumstances. The resolution doesn’t necessarily have to entail one of the two options above. The bottom line is that you and your creditors can typically reach an agreement, as long as you’re transparent with them about your current situation. With a few exceptions, no business really survives in a vacuum. The vast majority of companies rely on third-party suppliers for raw materials, ingredients or wholesale goods. 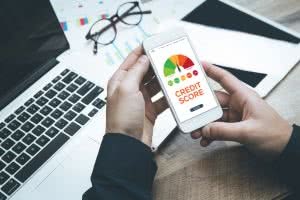 While some suppliers expect payment prior to delivery of these supplies, others will offer “trade credit,” according to Nerdwallet contributor Teddy Nykiel – and this very standard practice may actually be able to help you clamber out of bad credit. Establishing trade lines essentially gives your small business the option to pay several days or weeks after receipt of the materials. Over time, this can help improve your overall credit score. It may sound like a no-brainer, but more often than not, late or missed payments are the reasons that a small business ends up with a bad credit score. Sometimes small business owners will pay late only because they want to have a certain amount of merchant capital available to them in a given moment – perhaps because they foresee a big expense up around the bend that could lead to significant return on investment, or maybe because they prefer to have that safety net available at all times. At the end of the day, however, the best safety net for a small business is good credit, and you’re better off getting a cash advance on a loan than you are putting off on-time payments. Late loan repayment may have been what got you into your credit pickle in the first place, so why in the world would anyone with bad credit try to take out a small business loan? Furthermore, is that even possible to do with bad credit? In response to the first question, taking out a small business loan can actually be your company’s salvation. Often, bad credit is the sign of past indebtedness or old mistakes that left a dent in your business FICO score. It could have even been the result of EIN theft, which despite reflecting poorly on your company, is in no way your company’s fault. In response to the second question, regardless of the reason that you’ve ended up with a bad credit score, if you can feasibly repay a small business loan on time, there are plenty of alternative lenders willing to finance your business, despite a less-than-stellar credit score. If you’re confident in your company’s ability to pay off new debts, take out a small business loan. It’s one of the best ways to enhance your business credit score.